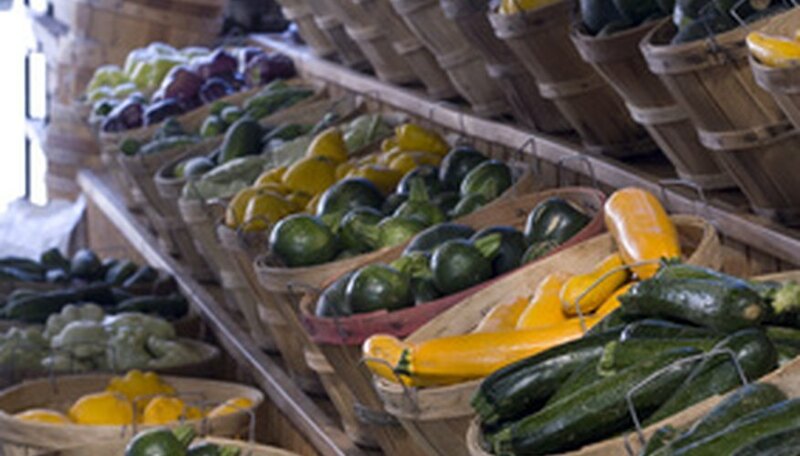 Georgia-grown vegetables provide $650 million to the state's economy each year. Georgia ranks third in the nation in number of acres used for vegetable farming. Traditional farmers are not the only ones interested in growing vegetables in Georgia. Residents may be intrigued by the fact that Georgia has a long growing season; in fact, vegetables may be grown all months of the year in some form. Proper planning is the key to a successful Georgia vegetable garden. Choose vegetables that grow well in Georgia and are also recommended for planting in the proper season. Plant bush beans, beets and broccoli during the spring. Plant vegetables such as Vidalia onions, kale, tomatoes, peppers, eggplant, okra and kale during the summer. Plant carrots, cabbage and mustard greens in the fall. Plant rutabaga, turnips and collards during the fall for winter harvest. Plant asparagus and onion bulbs in early winter for a late winter or early spring harvest. Choose a location for your garden that receives eight to 10 hours of sunlight each day. Do not choose a location where weeds such as Bermuda grass or Nutsedge have previously been a problem. Make sure there are no Kudzu vines within 10 feet of the area you plan to use as your vegetable garden. Test the pH of your soil several months before planting your garden. The ideal pH level should be 6.0 to 6.5. Make sure the soil is not sandy and does not have a lot of red in it. Purchase a truckload of dirt for your garden if your land is primarily this type of soil, or if the pH balance is under 4.0. Till the garden spot in mid-February for spring planting or early August for fall planting. Add around 20 pounds of lime per 1,000 square feet of garden space. Till the garden spot again to mix the lime into the soil. Allow to cure for two to three weeks before planting your crops. Add fertilizer to the soil at a rate of 100 pounds per acre of garden space by sprinkling the fertilizer lightly on top of the soil with a spreader or by using your hands. Rake into the soil with a garden rake, working in back and forth motions to completely mix the fertilizer into the soil. Plant the garden two to four weeks after preparation. Keep the seedlings in rows that are two to three rows apart. Mulch heavily between rows with a very thick layer of pine straw. Place a light layer of pine straw over newly planted seeds. Place a thicker layer around tomato or pepper plants. Water plants and seeds immediately after planting. Water your new garden two to three times a week. During the extremely hot months of July and August, you may need to water your garden daily. Do so in the evening just as the sun is setting or first thing in the morning before the heat index reaches over 90 degrees Fahrenheit. Water in the afternoon during fall and winter months, making sure that the temperature is above 40 degrees Fahrenheit when doing so. First-time Georgia gardeners should consider planting their initial garden in the spring. When to Plant Vegetables in Southern Louisiana?